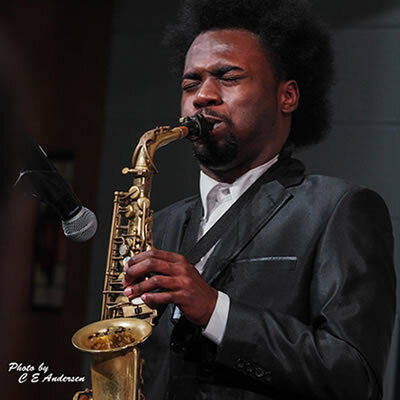 Born in Flint, Michigan, Benny began studying music in Elementary School. In order to nurture his talent, his mother moved his family to Detroit where he attended and graduated from the Detroit School of Arts. 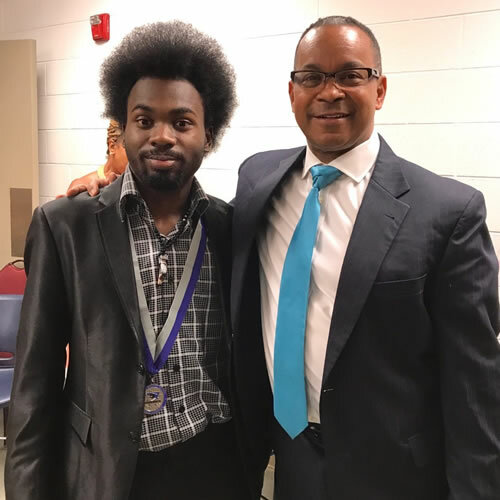 Rubin got his start in the church playing gospel music but upon attending DSA was immediately drawn to jazz with inspirations from Charlie Parker, John Coltrane and Sonny Stitt. 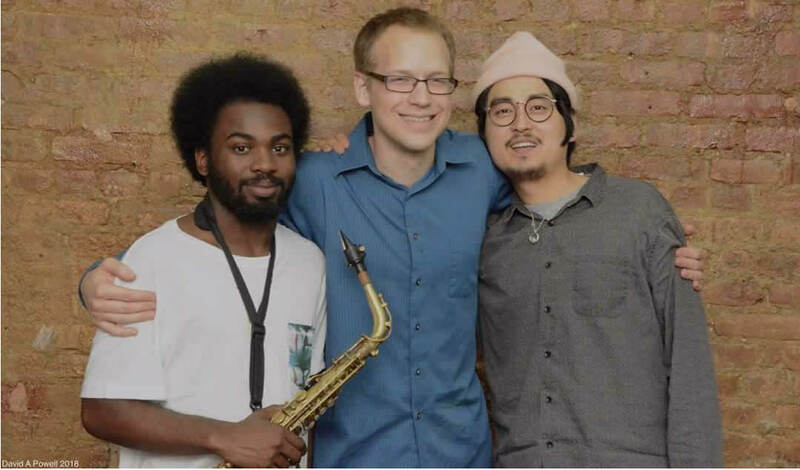 Since moving to Detroit in 2013, Benny has worked with Detroit legends including Wendell Harrison, Marion Hayden, Russ Miller, Sean Dobbins, Naima Shamborguer and many more. 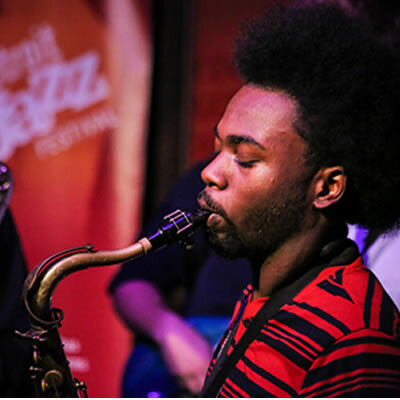 He also performed in the 2016 Detroit Jazz Festival with the Detroit Jazz Festival Youth All-Stars. In 2015 & 2017 Rubin played and taught in Europe with the Blue Lake Northern Winds and the Jazz band in countries like Germany, France, the Netherlands, Denmark and Poland. 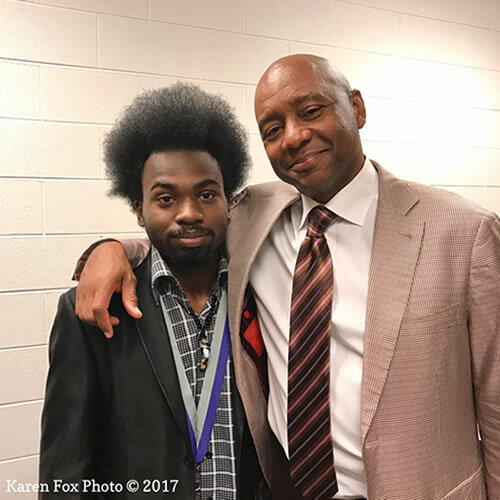 Rubin was named one of six 2016 Seymour Simons Scholars at the Michigan State University Community Music School in recognition of his talent as a jazz and composition student. 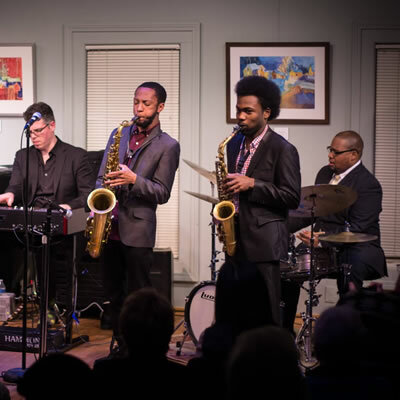 Funded through the Lampert Family Foundation based in San Francisco and family of the Detroit-native and composer of the jazz standard, "All of Me." 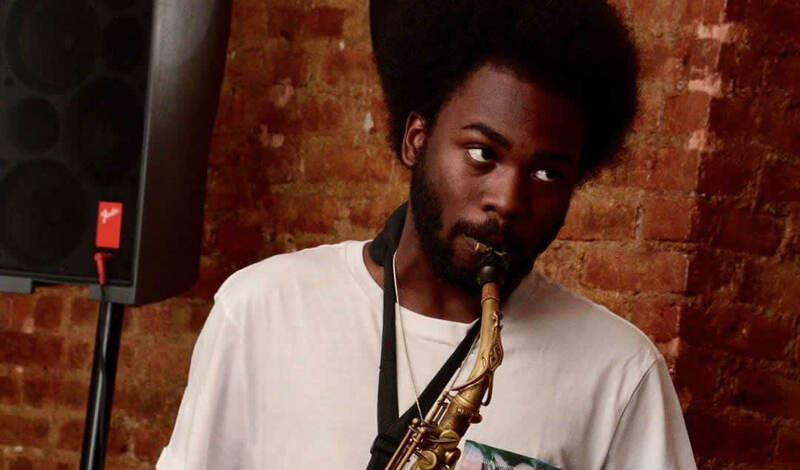 After graduating from the Detroit School of Arts in 2017, Rubin was awarded a jazz scholarship to study at the New School of Performing Arts in New York. Before attending the New School, Rubin produced his first album entitled, "What's Next?" (2017). The self-composed album holds 10 tracks and represents the next step in Rubin's life. 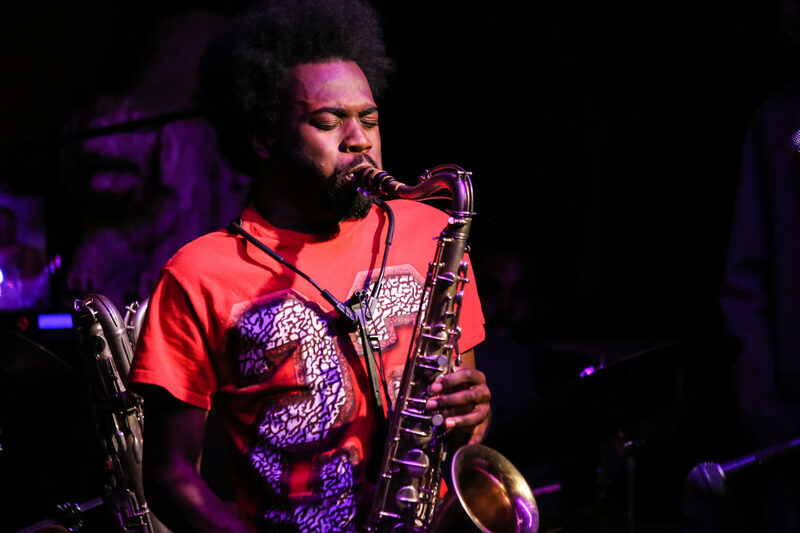 Since moving to New York, Rubin has played at venues such as Dizzy's Jazz Club, Mist Harlem, Solomon & Kuff and Club Bona-Fide. He has studied with Jim Snidero, Dave Glasser, Vincent Herring, J. D. Allen and Dave Schnitter. Rubin has also worked with artists Adam Rudolph, Lonnie Plaxico, Danny Mixon and Antoinette Montague. Rubin is a featured artist on the album, "Life Time" which is a compilation Cd tribute to Geri Allen produce by Naima Shamborguer. The album is set to release in September 2018. He is also a member of the Harlem Society Orchestra. 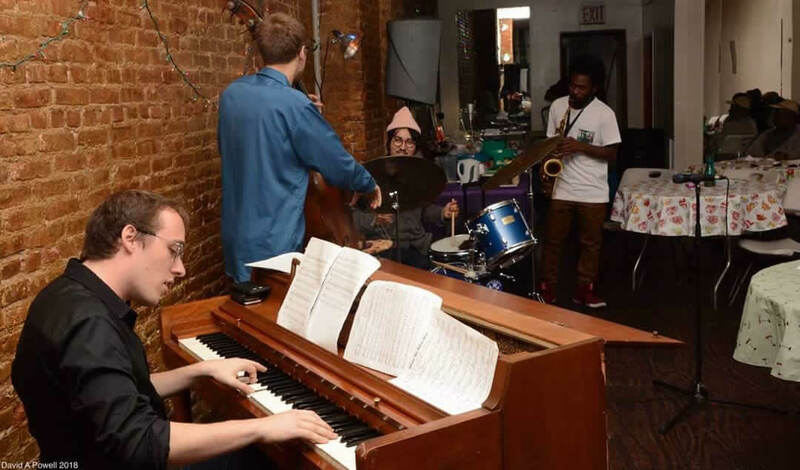 In June of 2018, the "Benny Rubin Quartet" began their residency at the Sound Bite, a jazz club located in Hell's Kitchen. 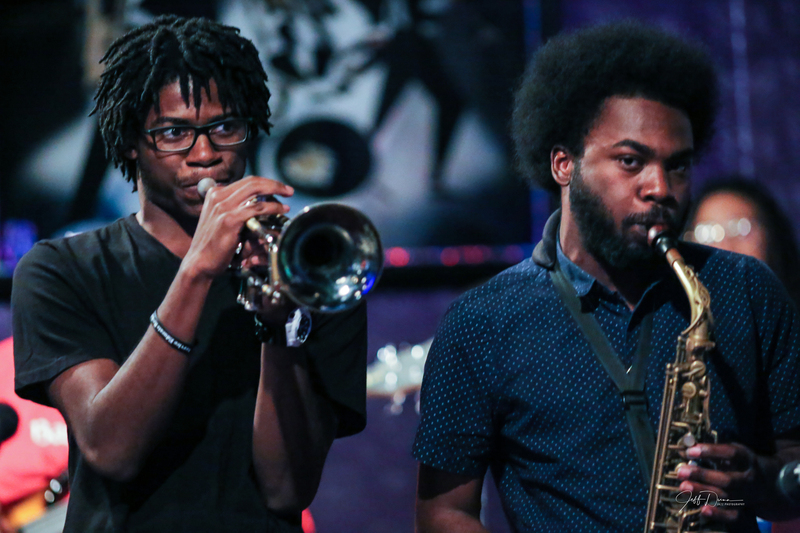 Rubin had the special opportunity to sit in with the Roy Hargrove Quintet at the Blue Note. 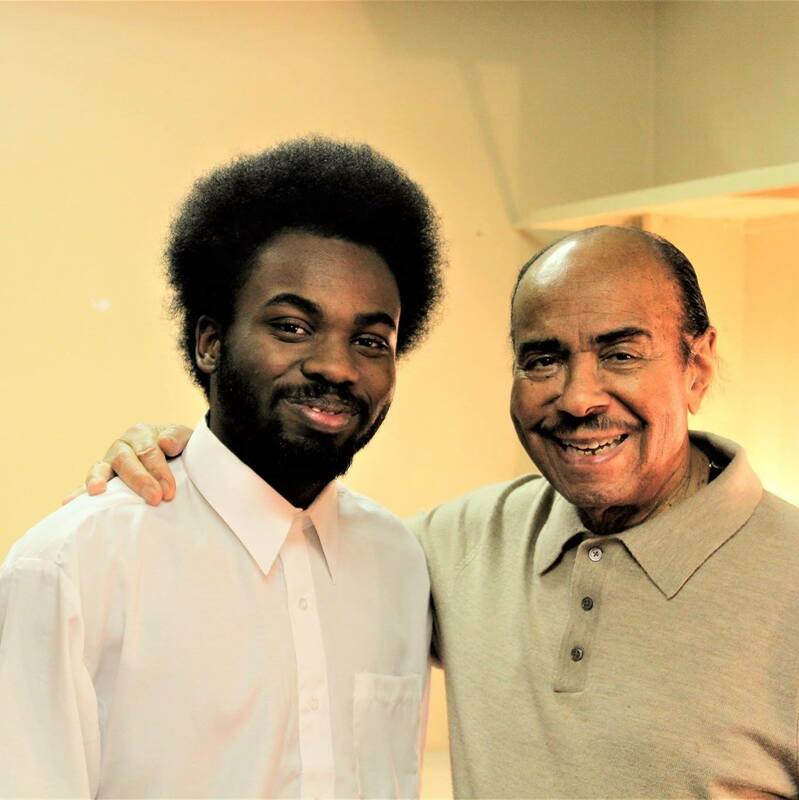 Rubin even landed a small role in an upcoming Benny Golson documentary. Quartet Residency at The Sound Bite! 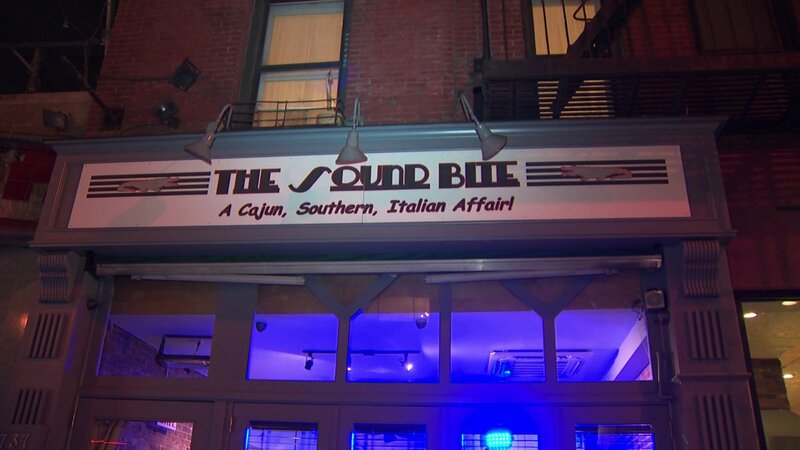 The Sound Bite is New York's Newest Restaurant and Jazz Blues Bar, located in Hell's Kitchen. This is the place to be every first and third Friday! Jazz Mobile's "Keep The Music Playing"
Benny Rubin Jr. Quartet Ft Lady Cantrese. 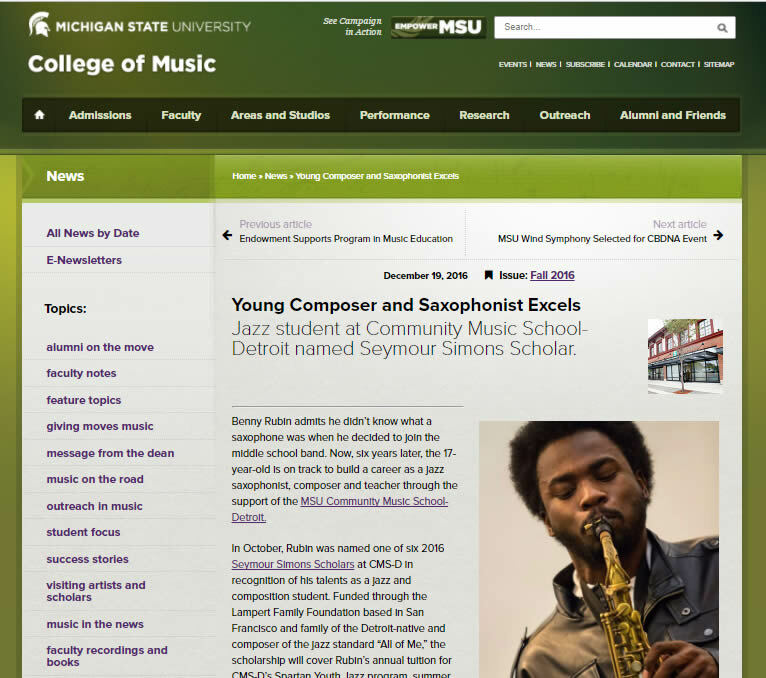 Rubin was named one of six 2016 Seymour Simons Scholars at MSU Community Music School-Detroit. Benny Rubin Jr. (Alto Saxophone) & Louis Jones lll (Drums) performs there arrangement of Joe Henderson "Inner Urge". 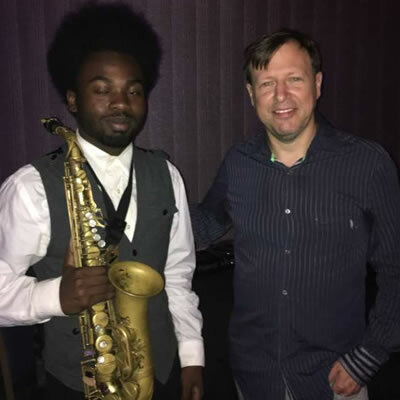 "What's Next" by Benny Rubin, Jr.
"Benny Rubin Jr. is a most promising young talent..."
"...one of the most dedicated young musicians I have ever encountered..."
...has the poise and sound of musicians 3 or 4 times his age. "... the future of jazz is in good hands." "...strong leadership and musicianship at a very young age." Benny is already showing signs of strong leadership and musicianship at a very young age. I look forward to what hear will be producing in the near future. "Benny Rubin plays beyond his years..."
Benny Rubin plays beyond his years and for someone so young has great insight. His delivery on ballads, especially shows feelings with understanding of a melody. Click on the dots or swipe to view the testimonials from jazz musicians, educators and more. Modern Element Performing not only as a band but as brothers. Book Benny for your next event or send your feedback.